If you walk into the kitchen and see your friend jumping around holding onto their foot, you are likely to think that they have stood on something painful, not that they are performing a ritual rain dance. Humans have the ability to decode the thoughts, beliefs and emotions of others, allowing you to predict and understand peoples’ actions because we are able to hypothesise others’ thought processes. This ability to place ourselves in the position of others is an insight developed over millions of years of social and biological evolution. However, there is growing evidence that non-human animals may have similar ‘mindreading’ abilities. Members of the corvid family, including crows, rooks, ravens, jackdaws, magpies and jays, have a well-deserved reputation for being one of the most intelligent groups of animals, perhaps even on an equal footing with great apes and dolphins. Their skills range from intricate tool use to complex social interactions and extensive memory skills. Corvids are known for their food-caching strategies, burying seeds when they are abundant and recovering them in times of scarcity. These birds remember what, where and when they cached in potentially hundreds or thousands of locations. 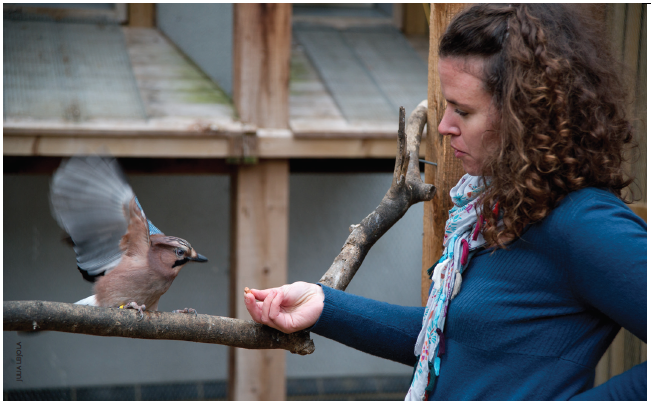 Dr Ljerka Ostojić, a postdoctoral researcher working with Professor Nicky Clayton in the Comparative Cognition Lab here in Cambridge, studies another social behaviour that corvids perform: courtship food-sharing. In order for the male to keep his partner’s attention he must frequently bring her gifts of food throughout the breeding season. However, it pays for the male to be considerate of the female’s desires so that he can keep her attention and her loyalty. It would therefore be useful for the males to ‘read the mind’ of the female and predict what she desires most. Ljerka Ostojić believes that this may be just what male Eurasian jays are doing. The best way to test whether males are tuned to their partner’s desires is to alter the female’s desire for different foods and see whether the male responds. 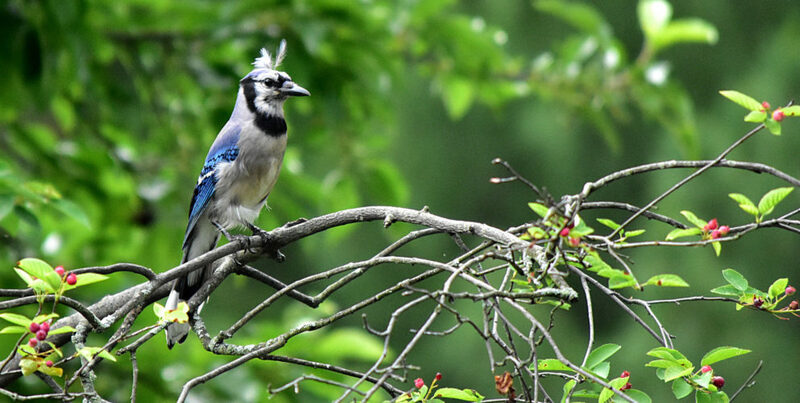 In experimental conditions the desires of female jays can be manipulated using specific satiety. This sensory phenomenon occurs when you eat a lot of one type of food, resulting in that food seeming less appealing. For example, after dinner you may be full of pasta but happy to eat a dessert! 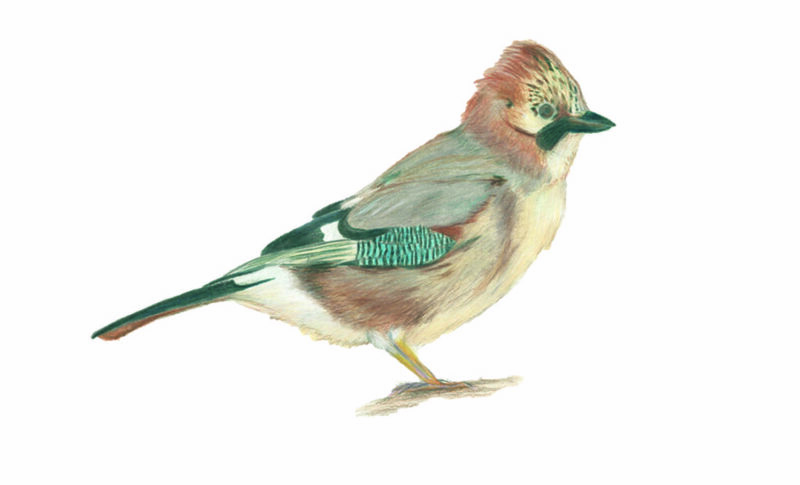 If a male jay sees his partner eat a whole bowl of mealworms, he should predict that her desire for more mealworms is reduced and she might prefer waxworms instead. Considering the situation from the female’s point of view allows the male to respond to her desires – a skill known as perspective-taking. In her first food sharing study Ljerka Ostojić showed that when the males watched the female being pre-fed, they altered their sharing by increasing the proportion of non-sated worms. However, when the males did not see what the female had been eating, they showed no change in sharing patterns. This important control demonstrates that the males are not simply responding to differences in the female’s behaviour (e.g. begging) at the time of sharing, but instead infer her desires based on what she has previously eaten. However, understanding what others want is not always that simple; even humans struggle to disentangle their own desires from those of others. As we grow older (most) humans become better at this, but younger children will egocentrically select what they desire most. In a well-known study by psychologists Repacholi and Gopnik, one-year-old children watched adults making obvious “Eww!” and “Mmm” sounds indicating that they enjoyed raw broccoli rather than goldfish crackers. Despite these cues, the infants preferred to offer crackers to the adults no matter how emphatically the adult showed that they did not like them. Research into the advanced cognition of corvids is ongoing, but as we learn more about what other animals can and can’t do we are better able to understand the mechanisms behind our own cognitive abilities. As the evidence grows that social interactions of humans and birds may be based on similar underlying rules, it could well be time to retire the pedestal on which we have placed human social intelligence.